The study, published last week in BMC Medicine, tested 44 herbal products of 12 companies by using DNA barcoding technology. What they found was that nearly 60% of the herbal products tested contained plant substances that were not listed on their labels. In almost a third of the products, the main listed ingredient was switched for a different product. Also, over 20% of products contained fillers like rice, wheat, and soybeans—which is especially dangerous, considering the amount of people who are allergic to these susbstances. Overall, out of the 12 companies that produce herbal supplements included in the study, just two had products with no substitutions, fillers or contaminants, the researchers said. Such unlisted ingredients may pose serious health risks for unknowing consumers. For instance, one herbal product was labeled as St. John’s wort, but in actuality contained the laxative plant senna alexandrina. Senna alexandrina is not recommended for prolonged use, as it can cause serious side effects, like liver damage and chronic diarrhea. In another instance, a ginkgo product was contaminated with juglans nigra (black walnut), which, of course, is a serious risk to anyone with nut allergies. “A consumer has a right to see all of the plant species used in producing a natural product on the list of ingredients,” said lead author of the study Steven Newmaster. Sales of medicinal herbs has rapidly increased in North America over the past decade to a $60.0 billion industry, as aging Americans and Canadians look for more cost effective, alternative treatments and health products. “Regulatory problems are affecting the consistency and safety of natural health products,” said Newmaster. In the U.S., it’s a reactive, not proactive approach to this issue. Herbal products are considered dietary supplements, so unlike drugs they do not require endorsement from the Food and Drug Administration (FDA) before going to market. So all the FDA can do is recall a product if it is found to be unsafe after it has hit the market and caused harm. In Canada, the problem is a backlog of license applications, which leads to thousands of products on store shelves without a full product license. 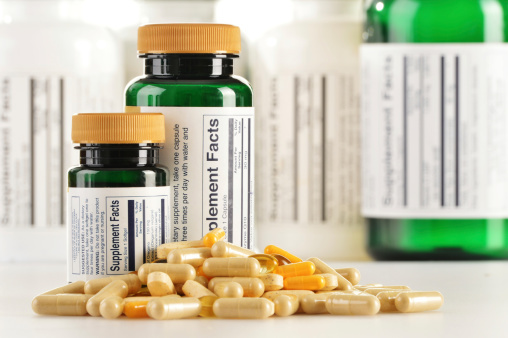 So how can you protect yourself and ensure that the herbal product or dietary supplement you are purchasing is effective, safe, and contains what it says it does? First, before taking any herbal supplement, be sure to discuss the issue with your physician. You can also check out sites like ConsumerLab.com, which do tests on dietary supplements. Other reliable sources are the National Center for Complementary and Alternative Medicine (NCCAM) and the Office of Dietary Supplements. Lastly, always take heed if the herbal supplement doesn’t have evidence-based scientific research to back it.